Did you know that replacement running backs accounted for 27% of the weekly Top 12 running back finishes in 2018? And yet, with the exception of backups who broke off an RB1 performance way late in the season -- guys like Damien Williams and C.J. Anderson -- there's a strong chance folks will forget about the replacements who flashed RB1 potential when they filled in. Replacements like T.J. Yeldon. In his fourth year as a Jacksonville Jaguar, former starter T.J. Yeldon was briefly thrust back into the spotlight when Leonard Fournette missed some time with a hamstring injury. (Go figure.) Yeldon was listed as the official starter in the backfield for just 5 games, yet still came away with an RB2-level finish on the year. Think about that. He was a starter for less than a third of the season, but still finished better than Lamar Miller, Austin Ekeler, and Matt Breida, all of whom played the same number of games. And he went practically undrafted in the majority of leagues. So long as Fournette is in town, Yeldon will always be the out-of-focus guy lurking in the background. And yet, beyond draft pedigree, there's a lot that suggests Yeldon could and should be the Jaguars main man. Before we get too much further, I do need to acknowledge that neither of these players had what you would call great seasons, and their metrics reflect that. I'm not suggesting that either of them should be heralded for what they did in 2018. But if we're talking strictly about internal competition for snaps, wouldn't you rather have the guy with the higher YPC, YPR, and reception totals out on the field? Yeldon surpassed Fournette in all of those major categories, yet was destined to cede the majority of snaps to his teammate so long as he was healthy. But perhaps the argument could be made, as it once was with Lamar Miller, that Yeldon only hit such high marks because he was on the field so sporadically. What would happen if Yeldon was actually treated like the starter? Looking at weeks 1-7, where Yeldon was the starter more often than not -- seeing at least 7 rushing attempts in every game -- Yeldon finished as the RB9 in PPR. He was ahead of names like Christian McCaffrey, David Johnson, Phillip Lindsay, and Joe Mixon. In those games, his YPC jumped up to a more respectable 4.5, while his YPR remained steady at 8.9. He averaged 84.2 total yards per game, and scored 5 times in that time frame. Using only those first 7 week stats, Yeldon was on pace for 1,350 total yards, 69 receptions, and 11 total touchdowns. Those numbers would have notched him 270 fantasy points...good for RB9 on the year. That's Yeldon's potential as a starting running back, should he be given an opportunity to start somewhere in 2019. But here's the rub. Yeldon may have performed at a high level in 2018, but the fact is this was the first time Yeldon has cracked the Top 25 at his position. (Though he was RB18 on a per game basis his rookie year.) The fourth-year veteran has rarely proven reliable enough to handle a full workload and simultaneously produce big numbers. It's been mostly an either/or situation for Yeldon up to this point. And yet, he's averaging 4.2 yards per carry on his career and has never seen fewer than 41 targets in a given season. 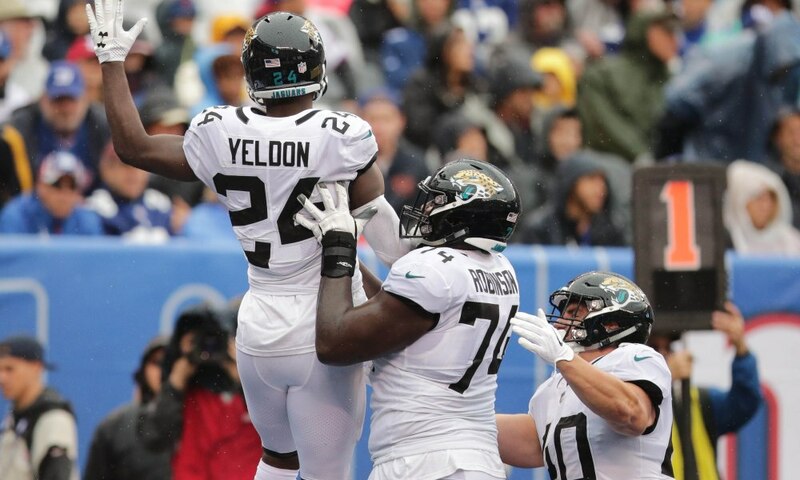 At just 25-years-old, there's a very real possibility that Yeldon simply took longer to grow into an NFL-caliber running back, and that we haven't seen the best he has to offer. Fournette and the Jacksonville brass weren't on the best of terms this year. Though they supposedly smoothed things over after the season wrapped, there's a chance the tension in their relationship causes a parting of ways. With the team needing to fill so many other holes on their roster, it could mean Yeldon's time as the Jags' lead back is just on the horizon. Of course, there's also the fact that Yeldon is entering the offseason as an unrestricted free agent. So he could sign with one of the RB-needy teams out there (Buffalo, Miami, Oakland, Washington), and immediately see a boost in opportunity. Even if he were to slide into the No 2 position in a more dynamic offense (the Texans, Falcons, or Chiefs could all be contenders), his value would increase drastically. His situation this year was about as bad as it could be, and Yeldon was still just barely outside of the Top 20 running backs for fantasy purposes. That kind of potential deserves more than a passing glance. 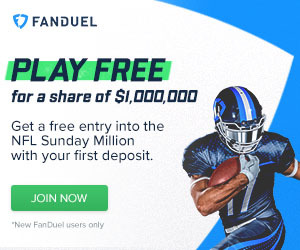 Barring a drastic change of public perception, there's a good chance you can steal Yeldon in the last round of 2019 drafts. He's also one of the most interesting buy-low targets in dynasty formats. Go get him.